The Three Amigos welcome you to the Round Rock Public Library! Public libraries are also often, somewhat paradoxically, very good bookstores. You would think that a place that loans books for free would not be a great place to locate a bookstore, but people who love to read books also love having books, and often end up having to trade out books they once loved to make room for new books on their bookshelves. These folks make up the Friends of the Library. The Round Rock Public Library’s Friends of the Library Book Nook is not very big, but at least by my judgment it makes up in quality what it lacks in quantity. Since moving to Texas I’ve picked up eleven books there, from Andrew Breitbart and P.J. O’Rourke to Andre Norton and a Robert Heinlein. And Martin Greenberg’s Dinosaur Fantastic collection isn’t the best science fiction I’ve read lately, but it is filled with dinosaurs! Can’t hardly go wrong with that. They also have an entire bookshelf dedicated to a handful of high-selling authors such as Richard Patterson and Janet Evanovich. The Book Nook appears to have a pretty good turnover rate, as, despite it’s size, I’m always finding something new. There are two sections to the Book Nook. As you walk in the main entrance, the children’s and young adult section is directly around the corner on your left as you enter the library. The larger Book Nook is in a room up the stairs, also around the corner to your left as you leave the stairs. 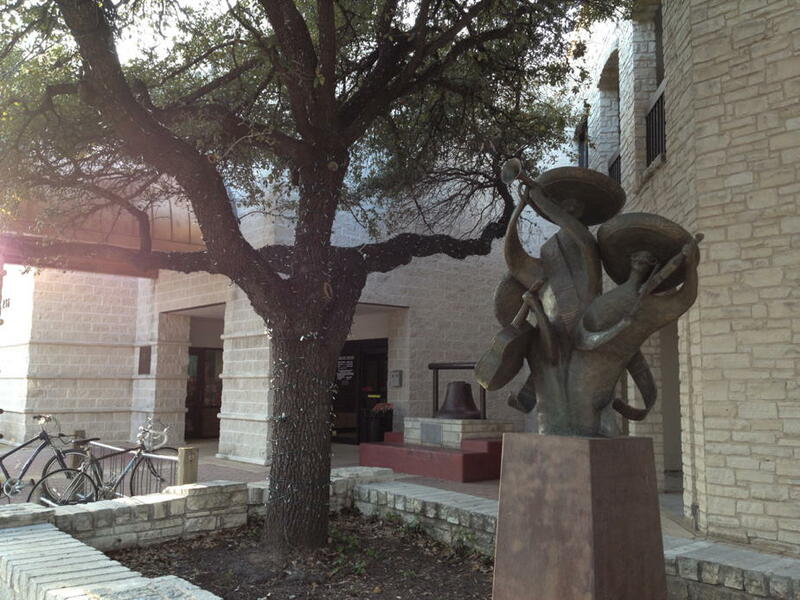 The Round Rock library is currently right downtown, though they are considering moving it to the outskirts of town. Complicating the law and raising taxes, then lowering them for businesses that know how to lobby local or state governments, is not a recipe for encouraging innovation. It is a recipe for killing it. Round Rock extends dangerously low speed limits on Highway 79? Are accidents along Highway 79 in Round Rock the result of speed limits that are too high, or are they the result of speed limits too far below the 85th percentile? Round Rock will, this coming Thursday, consider a resolution to terminate their contract with Redflex for red light cameras. I think that’s a great idea. Round Rock, Texas: The Round Rock Public Library last modified April 26th, 2016.